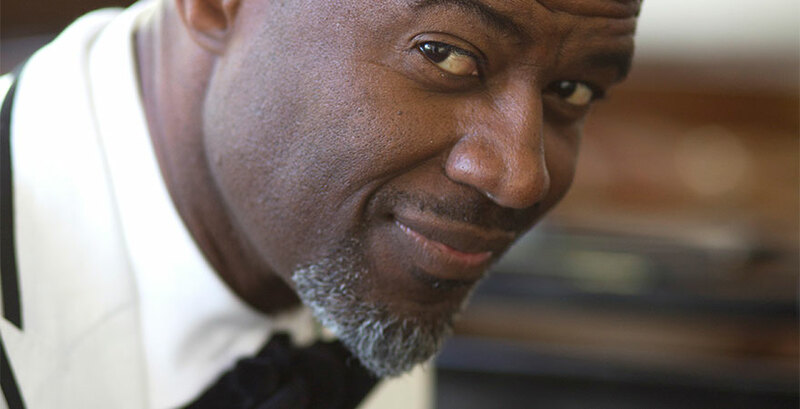 R&B star Brian McKnight returns to the State Theatre! Brian McKnight, known for his work as a singer, songwriter, and producer, will perform his hits, new and old, including music from his newest album, Better on October 21! Born in Buffalo, New York, McKnight’s musical career began in childhood when he became a member of his church choir and a bandleader for his high school. His early interest in music led him to singing and songwriting, as well as learning 9 instruments (that’s right, 9 instruments! ), including piano, guitar, bass, drums, percussions, trombone, tuba, flugelhorn, and trumpet. By the age of 19, he signed his first recording deal with Mercury Records. In 1992, his self-titled album Brian McKnight was released, followed by I Remember You (1995) and Anytime (1997). Anytime sold over two million copies and was nominated for a Grammy® Award. In 1999 McKnight released “Back at One” on Motown Records, which sold over three million copies. Along with several other Grammy® nominations, Brian McKnight has been the recipient of American Music Awards, Soul Train Awards, NAACP Image and Blockbuster Awards, and Billboard Songwriter of The Year. On Better, McKnight sings his heart out on the 12 song set consisting of love songs, backed with live instrumentation and a varied mix of up-tempo songs and ballads. Though he began to venture into more progressive production in some of his past albums, he went in a different direction with Better. “I’m taking it back to basics, creating music like we did 20 years ago–completely organic, all real instruments,” he explained to IGotSoul. See Brian McKnight live in concert at State Theatre New Jersey on October 21, 2016!